Paula had exactly the right idea. 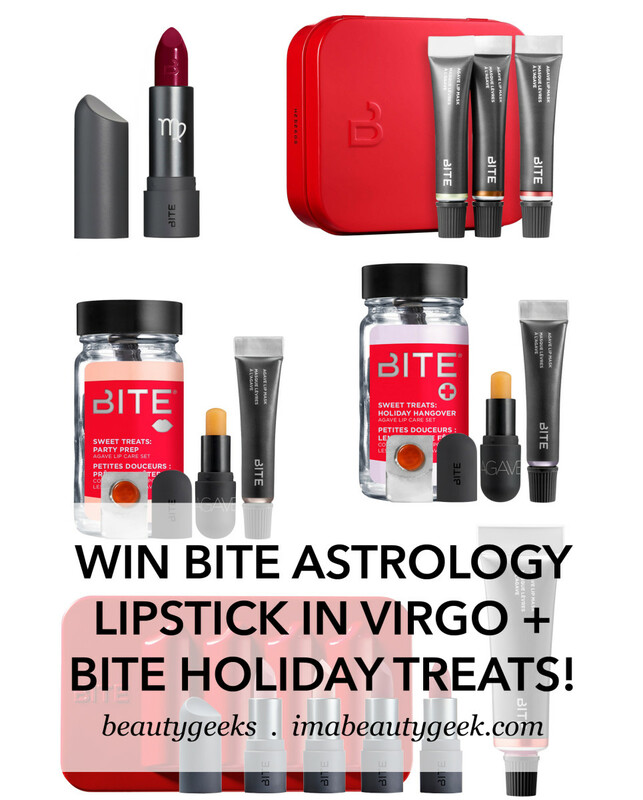 When I geeked out about Bite Beauty&apos;s Astrology Amuse Bouche Lipstick in VIRGO as the best shade ever and insisted that everyone needs it, Paula suggested in the comments that I "snag another (you know, with all your connections) for a giveaway." So I did! 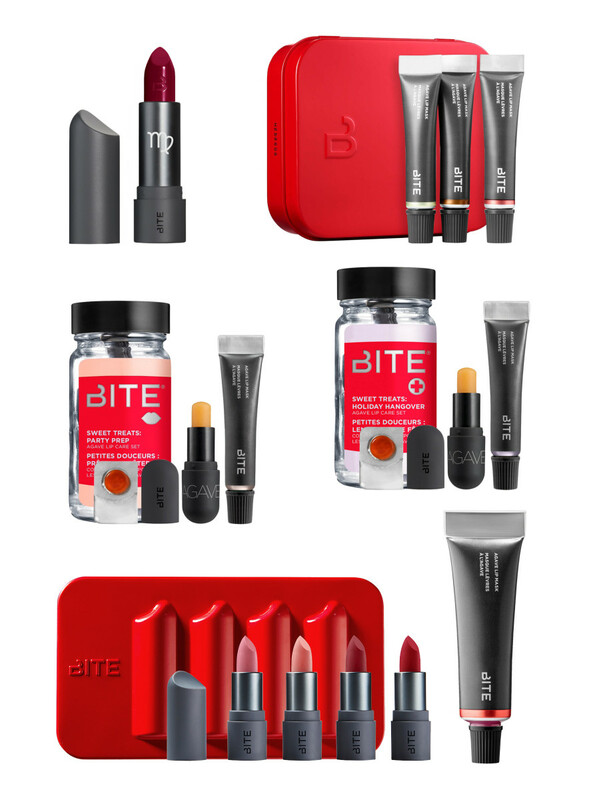 Bite Beauty holiday 2018 treats: limited-edition Agave Lip Mask in Candy Cane; Agave Treat Trio Mini Agave Mini Lip Mask Set w/ Natural, Maple and Candy Cane; Sweet Treats Party Prep Agave Lip Care Set; Sweet Treats Holiday Hangover Agave Lip Care Set; Four Little Bites Mini Amuse Bouche Lipstick Set w Date, Sake, Tannin and Nori. Bite Agave Lip Mask in Candy Cane ($30 CAD and $26 USD at sephora.com), a limited-edition sheer pink with delicate pearl shimmer and a peppermint hit. Bite Agave Treat Trio Mini Agave Lip Mask Set ($22 CAD and $18 USD at sephora.com) featuring Natural, Maple (a sheer shimmery bronze) and the limited-edition Candy Cane. Bite Sweet Treats Party Prep Agave Lip Care Set ($15 CAD and $12 USD at sephora.com) that includes a mini blister pack of Agave Sugar Lip Scrub, a mini Agave stick balm and mini Agave Lip Mask in Champagne, a sheer, shimmering rose gold. Bite Sweet Treats Holiday Hangover Agave Lip Care Set ($15 CAD and $12 USD at sephora.com) that includes a lip scrub sample, mini stick balm and mini Agave Lip Mask in Lavender, a sheer pale pink. Four Little BITEs Mini Amuse Bouche Lipstick Set ($29 CAD and $25 USD at sephora.com) with mini versions of Date (limited edition), Sake, Tannin and Nori. 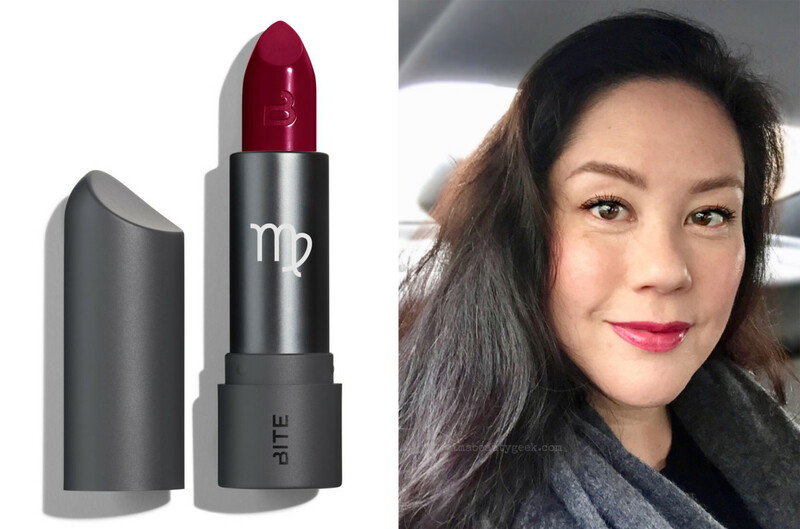 And the highlight of this Bite Beauty giveaway: Astrology Amuse Bouche Lipstick in Virgo ($30 CAD and $26 USD at bitebeauty.com), a rich, deep, vibrant grape-red. Enter all the ways you like via the widget below, and good luck, lovelies! 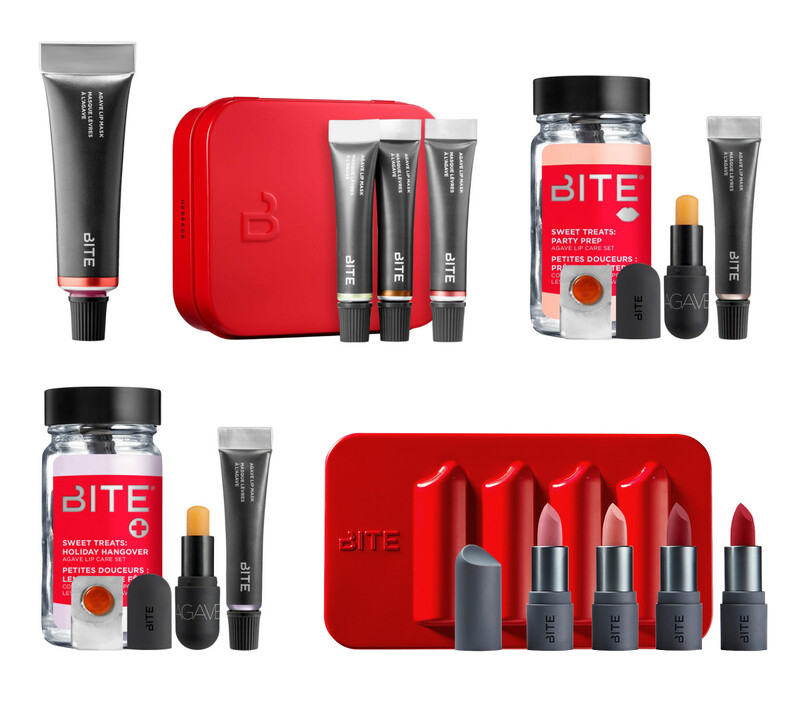 Please be advised that once notified by email, our winner will have 24 hours to respond with shipping information that we&apos;ll then share with our Bite Beauty contact. If we don&apos;t hear back in 24 hours, we&apos;ll have to choose another winner instead – please don&apos;t make us do that! 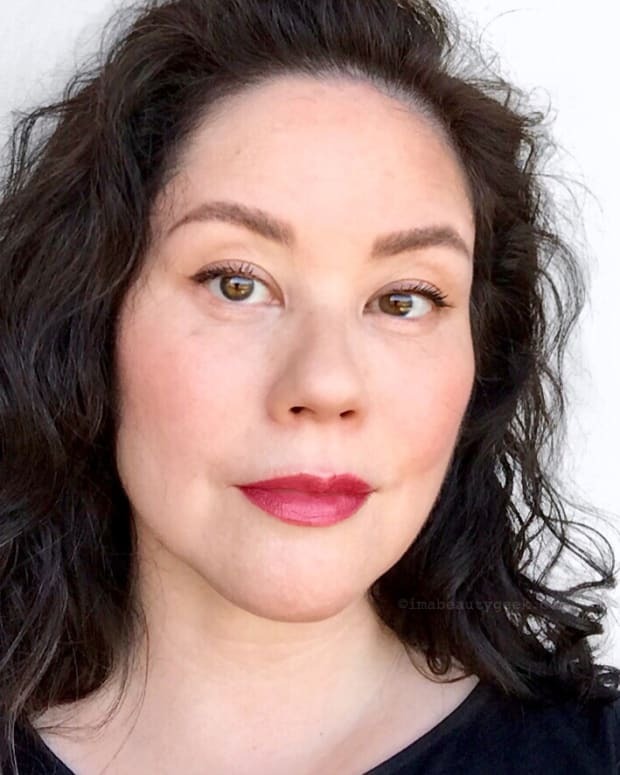 Also, Bite&apos;s full collection of Astrology shades is available in the Astrology by Bite Mini Amuse Bouche Lipstick Vault ($95 CAD and $75 USD at sephora.com). I think Virgo is the best shade, but I gotta tell ya, I&apos;m tempted by Scorpio and Sagittarius, too! 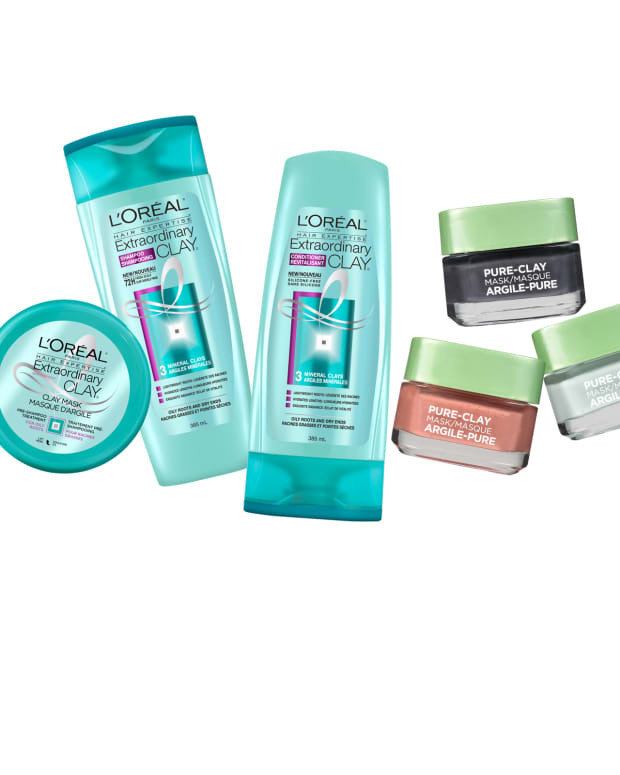 WIN THIS: 1 OF 5 SETS OF CLAY HAIR & FACE CARE!